Even in the middle of a cornfield, not a hotbed of discussion about education policy, you can find the results of those policies. As unlikely as it may seem, when policymakers in Washington make a decision, those decisions affect all of us—even students in my small, rural Indiana school. When policymakers on the East Coast decided schools should test reading and math, we saw the curricula narrow throughout the country. At the same time, subjects that interested my students—art, drama, agricultural science—atrophied. TEACHER LEADERSHIP, THOUGH MUCH DISCUSSED IN TEACHING CIRCLES, SEEMS SLOW TO TAKE HOLD IN THE STATE CAPITALS. Like most teachers, I am often frustrated with the lag between what teachers know to be true and what those outside the classroom understand. Teacher leadership, though much discussed in teaching circles, seems slow to take hold in the state capitals. The release of NNSTOY’s recent report Great to Influential (and the fact that the U.S. Department of Education highlighted it in a recent newsletter) has given me some renewed optimism, but I long to be more involved. Living so far from where decisions are made, knowing that I often cannot get to the table, leaves me feeling discouraged precisely because there is much I long to say to those who so greatly affect my students’ lives and learning. Over time, I’ve become more and more convinced that we can minimize education policy missteps if teachers have a greater role in the policymaking process. Teachers should not just ask to be treated as professionals, but they should be professionals. They must inform themselves about the decisions and decision-making processes taking place in education so that when our voices are heard, we speak from knowledge and don’t waste the moment. Being part of the National Network of State Teachers of the Year (NNSTOY) Government Action Committee has helped me continue my mission to be a voice for teachers. Through our national Federal Policy Survey, we have begun to learn about the effects of education policies on classrooms from the country’s best teachers. Participating in the survey honored each member’s views about what role the federal government should play in education and shed light on how it can best serve those sitting in the desks. We have used the results, released this week, to create legislative goals for the organization to use to help policymakers make good decisions in both the long- and short-term. With the passage of the Every Student Succeeds Act (ESSA), states and district will play a much larger role in shaping policy and controlling how the money is spent. The Title I and Title II portions of the bill require stakeholder involvement, including teachers. The Federal Policy Survey reminds us that our nation’s best teachers must be a part of the discussion about implementation in order for us to get these important decisions right for all of our nation’s classrooms, no matter where they reside. 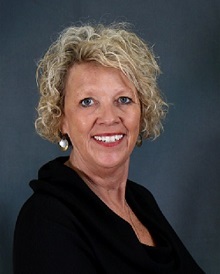 Karen Van Duyn is a 1999 finalist for Indiana State Teacher of the Year and an NNSTOY member. She has been teaching English for 40 years, the last 37 at South Newton Schools in Kentland, Indiana.